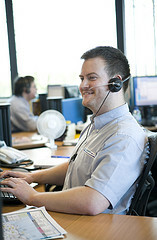 Call centers and answering services strive to keep costs down and improve customer satisfaction. One of the best ways to do this is through first call resolution. Essentially, this means that calls are managed correctly the first time customers call, often resulting in happy customers. It also benefits the business by saving time and money, reducing the volume of calls, and keeping employees happier. Imagine how stressful it can be trying to handle a customer’s issue for the second or third time! Employees will be happy to resolve customer issues the first time. At Customer Elation, we understand the importance of first call resolution for businesses and know that it is a critical aspect of keeping customers satisfied. When outsourcing your customer care with Customer Elation, you can rest assured knowing we are striving for first call resolution with each call that is received.